Conservatory Prices 2019, How Much Does a Conservatory Cost? The overall cost of a conservatory will depend on many factors as described in this useful guide. On average, conservatory prices can range from £5000 to £20,000 depending on design and home. The following sections will provide further information into how much you can expect to pay for a new conservatory. For additional information have a look at our Conservatory Buyers Guide. We understand how daunting a big home improvement project can be. This information should help make the task more enjoyable. After all, adding brand new living space to your is an exciting undertaking. How Much Does A Conservatory Size 3x3 Cost? What is the cost of a 3×3 conservatory? If you’ve tried shopping for a conservatory, it’s entirely possible that you have asked this question numerous times and have received a different answer each time. It would not be at all surprising if you still find yourself in the dark. The cost of a full build 3 X 3 conservatory can vary from £8,000 to £15,000. Some of this variation is due to the questionable work of commission only salesman. Some to quality and possibly some due to unusual site conditions. If you are looking for a 3m X 3m conservatory, you need to know which questions to ask and where to turn for reliable, honest advice. To begin, you need to know exactly what you want. Stop to consider your options. Are you replacing an existing conservatory (base work is there already) or are you starting from scratch? Would you like to have a conservatory specialist arrange and manage the whole project? Or would you prefer to use your builder for the base work? Do you want to employ a fitter for the rest? Or do you consider yourself to be sufficiently skilled to do the whole thing yourself? This is relatively straight forward. You’ll have choices to make concerning where you site opening windows and also your preference of roofing material. But, taking this route it should be possible to keep a 3 X 3 conservatory cost under £7,000. Of course, you can always find costly additions that will enhance your enjoyment of the conservatory. These additions can be difficult to manage this option on a budget. If you are starting from scratch, you may be wise to think about what is available to you. It is at this stage that the question, “How much does a 3 X3 conservatory cost?” really begins to take on some meaning. Let’s start with the base work. Have a close look at the house wall that will form the back of the conservatory. If there are obstructions, they will have an impact on your conservatory cost. Things such as heating boiler vents, rainwater downpipes, garden taps and kitchen waste water pipes will have to be taken into consideration. So will waste water inspection covers, tree roots and underground services. Remember, you’ll need to allow for a double skin wall when measuring the space in your garden. Which means that a 3m x 3m Lean-To conservatory (internal measurement) has to have an external width of 3.6 metres. Insulating the floor is fairly cheap and deciding not to do it is probably a false economy. It will mean a very cold floor in winter. We recommend a well-insulated floor with a smooth concrete finish. If a screed finish is necessary, that will add to your conservatory cost. How many electrical outlets will you require? It is essential to get this right while the conservatory walls are being built to avoid trailing extension leads across the floor after its finished. A conservatory cost will differ depending on the different conservatory style and size you choose. The following conservatory costs will provide a guideline on the price you will pay for a 3000 x 3100mm conservatory. Since they are less complex in their structure, lean-to conservatories are sometimes considered a ‘cheap conservatory’ style. Don’t let this put you off, however. Lean-to conservatories are incredibly versatile and an excellent solution for many properties. If you have an unusual build-space, then they might be the choice for you. A lean-to is often a popular addition to terraced housing. This conservatory-style is a great way to gain a bright new space, without infringing on your garden. If you are interested in keeping conservatory costs low, then a lean-to could be the way to go. Their simple design means they take less time to build and is an efficient option for anyone on a budget. While a 3m X 3m Lean-To conservatory may not seem large, it does have a floor area of nine square metres. Which means that the choice of flooring will have a bearing on conservatory cost. A wood floor is attractive and warm to the touch during winter but can be expensive. Tiles give a relaxed Spanish or Italian feel which is perfect in summer. But in winter this can be a different story. This is one area where you can take steps to minimise cost without sacrificing style or comfort. There are several choices of natural floor coverings that are warm and also look ideal in a conservatory. The cheapest is probably seagrass. While it isn’t the hardest wearing, it is easy to lay and inexpensive to buy. If your budget runs to sisal, you’ll find a range of colours that will cater for most tastes. Now when you ask, how much a 3 X 3 conservatory cost, you’ll have some idea of what to consider when you’re planning the base work. 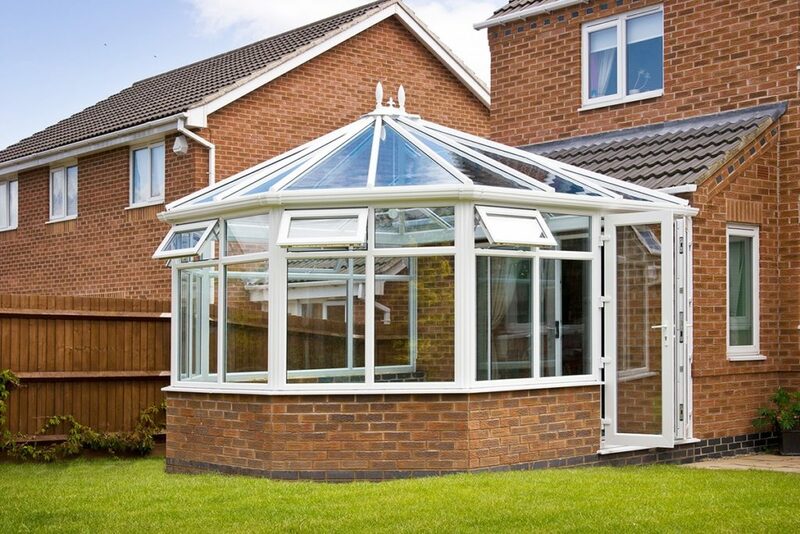 Victorian Conservatory prices will vary in cost depending on the exact shape, roof type and measurements. You can also choose between standard white uPVC and various colour options. It is important also to determine what type of roof you need as well as whether you require planning permission or building work. Prices and costs of Victorian conservatories depend very much upon the above criteria. There are three main choices when it comes to conservatory roofs. The cost of a conservatory will depend on this. Polycarbonate roofs tend to be the cheapest roof option. These roofs are great if you are looking for a cheap conservatory. Glass roofs are the second option and although they tend to be more expensive than polycarbonate roofs have other advantages. Some might say they are more attractive and they tend to be quieter when it rains. They tend to be more durable and are energy efficient. 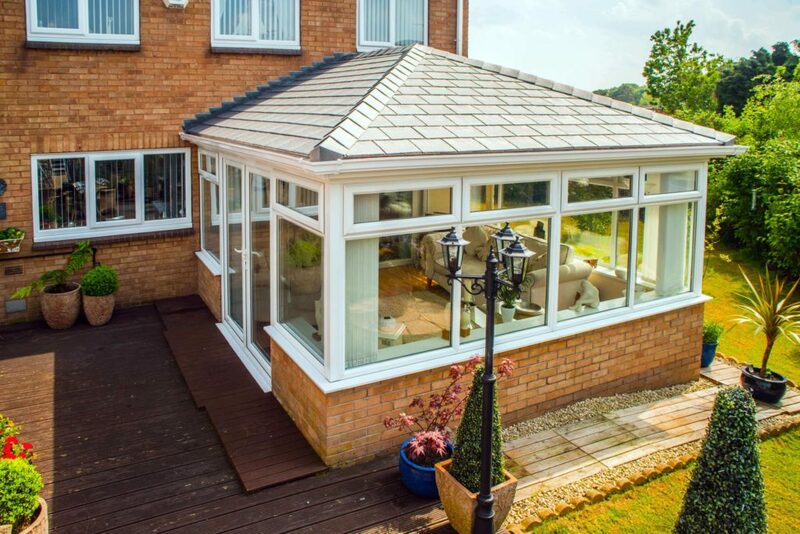 Finally, tiled roofs are a much more popular addition to a conservatory. The difference with a tiled roof is clear, and there are some excellent options available. If you want to know the cost of conservatory roofs, then select these options using our online conservatory cost tool. Edwardian conservatory costs are similar to those of their Victorian counterparts. They are also a classic design and will usually fit a similar build-space. Costs generally differ depending on the type of roof and glass. A Guardian Warm Roof is a slightly more bespoke option compared to a polycarbonate roof, which is more cost effective. The installation option you choose will also effect conservatory prices as mentioned above. The number of double glazed windows and doors, (including openings) within the overall conservatory design is also a factor. A popular addition to a conservatory is bi-folding doors. Bi-folding doors will allow you to open up one side of your new conservatory fully. They are an excellent way of ventilating your new living space. Bi-folding doors will also let you make the most of the living space. They are ideal for parties and family gatherings in the summer. The addition of bi-fold doors will, of course, make a difference to the conservatory price. It is worth speaking with your installer regarding the cost of conservatory bi-folds. They will be able to show you options and offer advice. A Gable conservatory cost depends mostly on the roofing material and structure since there are many different options available. With its quality appearance and high apex, they make a suitable conservatory for larger properties which also have high roofs. If you are looking to add a touch of grandeur to your home, then this may be the right choice for you. They are a fantastic option if you are looking to make a statement. The gable end is an attractive and desirable feature. Adding a gable conservatory to your home will not only give you a brand new living space but make you the envy of your neighbours too! The companies that we can put you in touch within your area are all highly experienced. They can specifically design you a conservatory that is more bespoke. 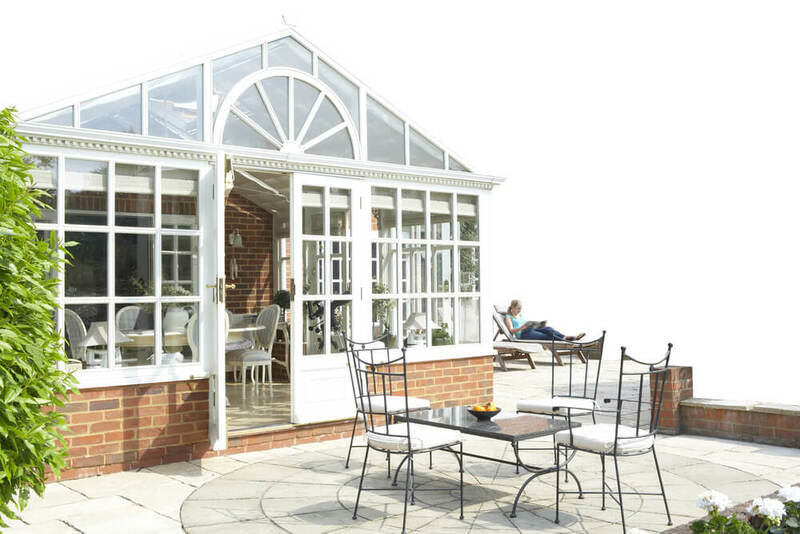 P-shaped and T-shaped are popular options, as they combine a variety of traditional conservatory styles to create a much larger living space. Our bespoke service can achieve a Victorian or Edwardian style to a lean-to. The shape that you decide upon to choose will usually depend on your property when opting for something more bespoke you can immerse yourself in the build process. As there are so many variances, you can choose a bespoke option can become a fun pet project. The result will also be something you can be proud of for years to come. Conservatory prices for bespoke designs vary more than traditional options. Your installer will be able to talk you through everything and let you know how different choices affect conservatory cost. T-Shaped conservatory prices or P-shaped conservatory prices can start from £14,000. P-shaped conservatories allow for multi-functional usage as they can hold two rooms, such as a dining room at one end and a seating area at the other. A p-shaped conservatory is an excellent option if you have a large family that may want to use the space for multiple purposes at the same time. With dual entrance points into your home or garden, you can gain access to your new bespoke conservatory with ease. You could even add a movable partition, giving you the option as to whether the P-Shape is one room or two! Lantern roofs will instantly transform an existing dining room, kitchen or living room, giving you lots of light and a feeling of enhanced space. They are an excellent, cost-effective way of brightening up a room. They are also a great addition to an extension. 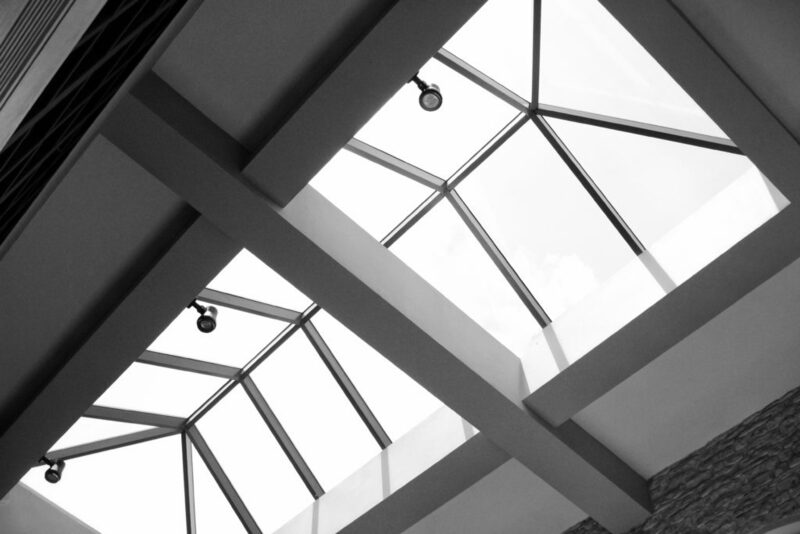 Roof lanterns come in a choice of glass, uPVC and aluminium materials. They can tailor to your existing extension or conservatory. They come in many styles so you will be able to choose the lantern roof that is right for you. Roof lanterns also come in a wide range of sizes. Whether your property is large or small, you should be able to find a lantern roof that will suit. You can create a free quote for a lantern roof using our conservatory roof cost calculator. You can also view online guide prices on our sister site, Conservatory Roof Prices UK. View lantern roof prices here. How Much Value Does a Conservatory Add? A conservatory that blends seamlessly and offers extra space to the ground floor could add up to 6.7% to the value of your home. This works out at £15,200 on the average house price. Square footage is actually why most of us choose to re-do our property. It’s in our control, cheaper to build and these days, people are always wanting more land. Whether it is in the form of a conservatory, orangery or extension, adding square footage is a clever home improvement. The cost of a conservatory may initially be daunting but investing more into your new space will be better long term. If you do opt for a budget conservatory, you will need to recognise that it might not be used to its full potential during the colder, Winter months. Conversely, it might not be usable at the peak of Summer. How Much Will A Conservatory Cost? Essentially, it all comes down to conservatory design. You need to look at the layout of your home. How do you intend to use the extra space? As with any home improvement, you need to spend time researching possible designs and companies. You need to know exactly what you’re going to get before you invest. The average family home can benefit greatly from a conservatory extension, but you must take into consideration the state of the market. ‘If the Queen put in bi-fold doors on the back kitchen of Buckingham Palace, would it increase in value by ten per cent? No. Of course conservatory style is going to effect overall cost, therefore choosing your conservatory design will require careful thought and consideration. Not only do you need to think about the style that will best complement your home, but also the style that will best suit your lifestyle. Of course this all depends on what you intend to do with your conservatory space. There are many factors which contribute towards the difference in conservatory costs. It is important to remember that it is not just the style of the conservatory to fit your home that matters but also which type of conservatory offers you the most advantages to your lifestyle regarding how you use the space and spend your spare time. Cost is significant but so is the look and feel of your home. The gable conservatory is considered a traditional conservatory design and is characterised by its high roof slope. The front panel of the roof remains upright rather than sloping back to the centre. This distinctively large roof maximises the ceiling height while allowing light to flood into the room, thus creating a bright and open feel. Square or rectangle in shape, it has similar dimensions to that of an Edwardian conservatory. Lean To conservatories can be adapted to fit any style of property. They also make a great choice as part of a kitchen extension. If you spend a lot of time in the kitchen, this option can transform that space. There is also a range of door options that means you can put your stamp on your new lean-to. With a lean-to, it is still possible to add a full wall of bi-fold doors and a glass roof to create a luxury living environment. A lean-to conservatory although smaller, can still be a stylish addition and create a great sense of space within your home. Edwardian conservatories make for a great minimalistic conservatory option and are an efficient solution. Perfect for those homeowners who want to put their stamp on the interior, you will receive an ideal blank canvas. With square corners instead of curved, you will be able to make the most of your available space. Edwardian conservatories are ideal if you want to use the area like a dining room or family living space. 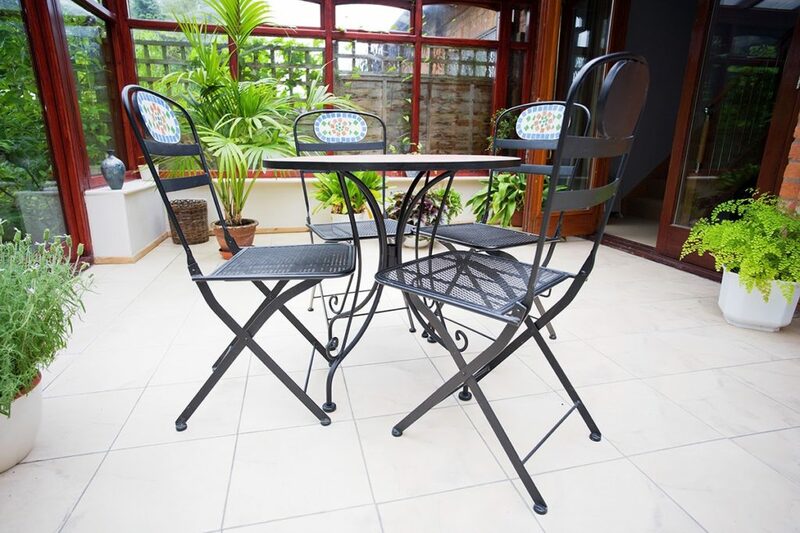 It may be worth researching the cost of conservatory furniture as there are some great options available. 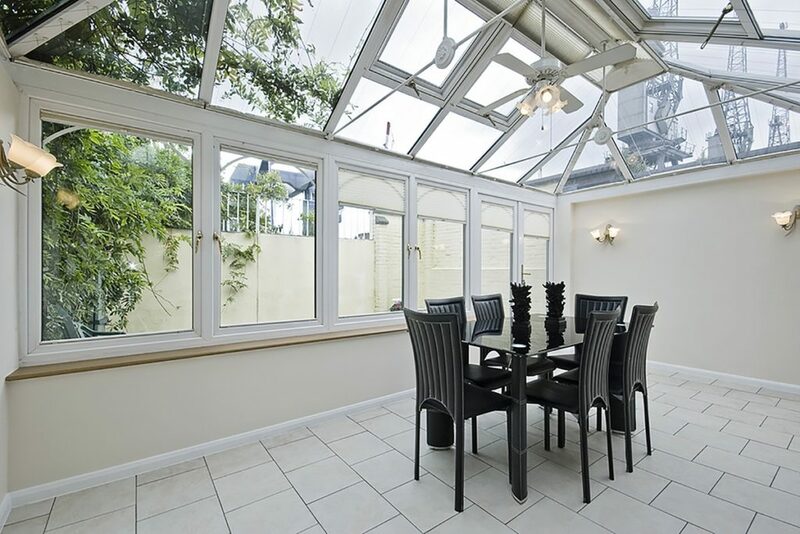 An Edwardian conservatory is also the perfect extension for a sunroom or playroom. Whatever function you decide upon, you will be able to enjoy the views of your garden throughout the year. Victorian conservatories are an excellent space saving choice for a range of properties, with the option of 3 or 5 facets to create their curved appearance. As a traditional conservatory design, it features period detailing that complements old-style homes beautifully. This enhances their charm and character. 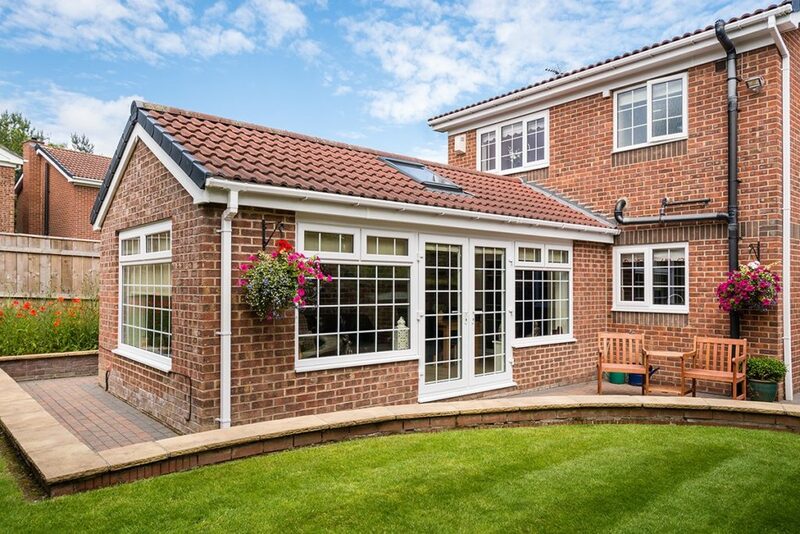 An Orangery combines the practicalities of a brick extension, with the light and style of a conservatory. They are a great way of getting the best of two worlds. Typically built onto the side of a house, Orangeries are perfect for bigger homes that overlook a luscious garden. Today’s Orangeries are treated more as an extension to the home rather than a traditional sunroom. Their solid brick pillars provide effective insulation and blend seamlessly with other existing brickwork. An excellent choice for a kitchen extension, an orangery will be a very cost effective extension. Don’t feel as if you must stick to conventional colours and finishes. Today’s modern conservatory allows you to choose something different. A carefully chosen colour can create a space that works best for you and your home. Choosing a traditional conservatory? Foil laminated colours used on major items in the roof and on the PVC side frames can have a real woodgrain texture to add a further dose of character. Whether you opt for colour or woodgrain foils, know that there is a world of choice available. You can even mix colours internally as well as externally. Be sure to ask your installer about their standard and bespoke colour options. When planning for your conservatory, you must consider ventilation. Climate control is vital to a comfortable living environment. This can often be overlooked and results in a space that is too hot in the Summer and too cold in the Winter. If you want your conservatory space to be usable all year round, then this needs to be considered. You need to ensure that your conservatory is protected from the elements and the potential for further problems. The type of ventilation you need will be specific to your conservatory design. It will be based on many considerations such as size, shape and its aspect in relation to the sun. South facing conservatories for example, need to consider the direct sunlight they will receive in the Summer. North-facing conservatories will need to consider heating options for the colder months of the year. Overshadowing will also need to be looked at. Overshadowing of the conservatory from obstacles such as trees, building and the severity of wind and snow in your area. Warm air rises so installing a tickle vent system into the ridge and lean-to wall plate will help minimise the possibility for condensation and allow air to escape via the roof. A roof vent is a fast and effective way of allowing warm air to leave your conservatory. They can be specified as electric openers for automatic opening and closing. Why Do You Get Condensation? 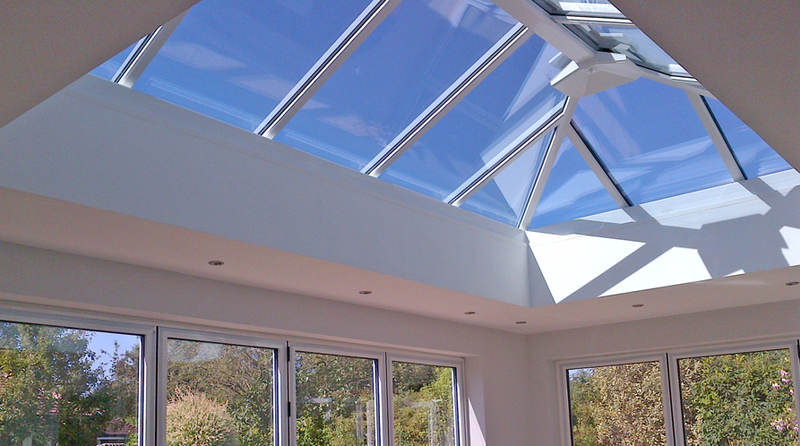 Did you know that conservatories have several glass roof options? Your conservatory roof can help keep your conservatory cool in the Summer and warm in the Winter to give you all year-round use. Roof glass is crucial to your enjoyment and comfort. Glazing material must be able to deflect the heat from the sun in the Summer and retain the warmth from heating appliances in the Winter. Polycarbonate roof glazing is a more affordable alternative to glass or solid roofing. It is available in a range of colours, thicknesses and specifications. They can cost between £2,355 and £2,705 for a simple lean-to conservatory. Overcome the problem of your conservatory being too hot in the Summer and too cold in the Winter with a solid or tiled conservatory roof. These conservatory roofs have great cooling properties. They also provide a beautiful vaulted plastered ceiling, with the added option of glass panels or roof windows. If you are looking to replace your conservatory roof with a solid or tiled alternative, then please check with Building Regulations. The conversion of a glazed conservatory roof into a solid one often requires official permission. Will a Solid Conservatory Roof Be Too Heavy? Modern solid roof designs are designed to be light. They are in fact, not much heavier than a glass roof and this enables original window frames to be used. The difference in loading on the foundations is negligible and providing that there is no sign of settlement in the base, there will be no need to ‘boost’ the foundations. If in any doubt, consult with your installer. It’s important your replacement conservatory roof offers great thermal performance, fantastic solar control and has self-cleaning properties. At the ridge of and hips of your roof, you will have the option to choose between a modern aluminium capping or a more traditional tile roof capping. Depending on your preference, you can either opt for roof windows or full rectangular panels. 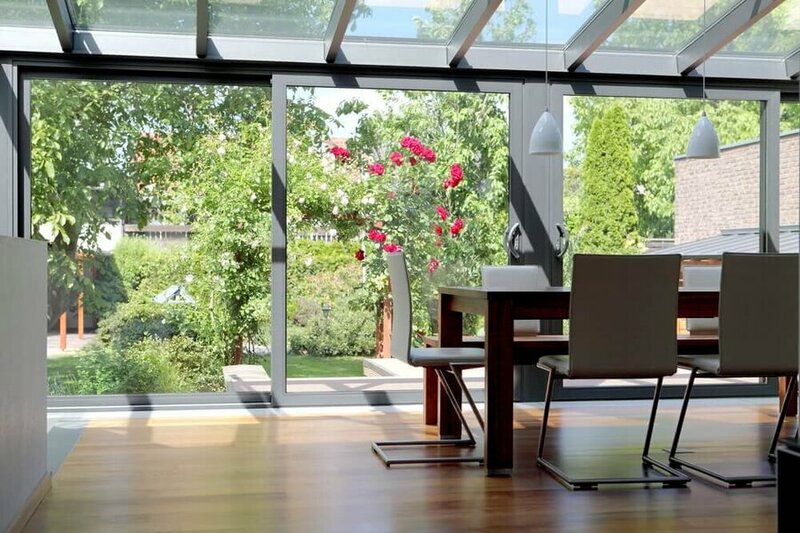 High performance glazing can be used to further enhance the experience of your new room. Specialist glazing can help reduce flare from the sun, giving you better temperature control. Why not embellish your conservatory with an internal pelmet? Your standard conservatory can be given an ‘orangery’ feel with the option of an internal pelmet. A pelmet usually comes in depths from 800mm to 1200mm, helping to insulate the perimeter of your ceiling whilst giving you that orangery look. – Enhanced light. Enjoy the light from a conservatory with the feel of an extension. An internal roof pelmet will provide you with greater value for money, offering you the best of both worlds. – Live more comfortably. Internal pelmet’s offer greater thermal efficiency compared to a standard conservatory roof. – Create and experience a real room/ living room. An internal pelmet gives you greater options when it comes to styling and furnishing. The perimeter ceiling is perfect for down lighters, spotlights or speakers. How Feasible is Pendant Lighting and Spotlights Around The Perimeter? Pendant lights can be suspended at the highest point of the vaulted ceiling. This is because there are structural braces inside the plasterboard to take the weight of the lights. Spotlights can fit naturally into the deep pelmet that runs around the perimeter and this can even be varied to make the pelmet more pronounced. External fascia boards can be specified in a wide range of colours to match or create a contrast with your existing window frames. Conservatories can open your home into the garden through the use of bi-folding or large in-line sliding doors which will add a whole new level to your home. When considering refurbishing your conservatory, not only can you replace the roof but you can also update the windows and doors too. If your conservatory is lacking the latest high-performance systems, this is a great opportunity to add value. Did you know that adding bi-folding kitchen or garden doors can add up to 30% to your property value? Bi-folding doors are a great way of bringing the outdoors in. Their full-height and width glazing will open an entire wall of your conservatory. Not only do they give you a lot of glazing for your money but they also give you that indoor-outdoor connection. Today’s bi-fold door systems are extremely advanced and lightweight. Light to touch, draught proof and strong, they are the perfect choice for a conservatory. One of the most frequently asked questions regarding conservatories is whether or not planning permission is required. The good news is that in most cases there is no need to have planning permission. The addition of a conservatory to property is a permitted development subject to satisfying the criteria listed on the Government’s Planning Portal section on Conservatory Planning Permission. Your installer will be able to let you know if planning permission is necessary. The installer will also be able to sort it out for you in the rare instance it is required. However as a general rule of thumb, unless the answer to any of the following questions below is ‘Yes’; then planning permission should not be necessary. Is it possible to view the conservatory structure from a public road or right of way? Has the house already had previous extensions? Are there any current restrictive covenants? 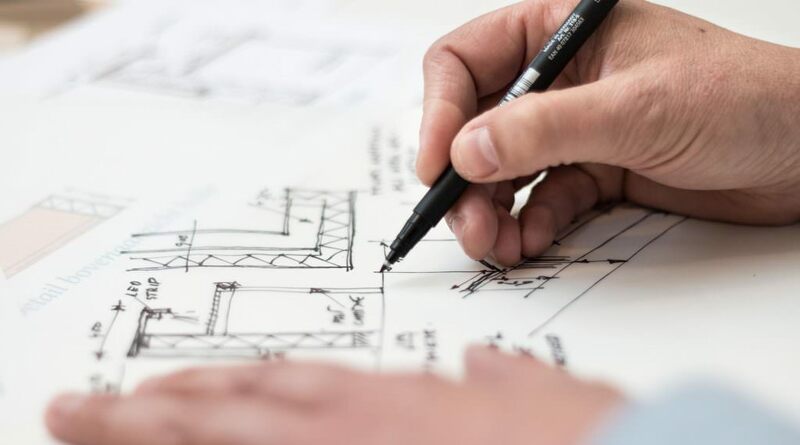 For planning permission costs, we suggest you get in touch with our network of trusted companies who specialise in conservatory planning permission. They will advise you on the costs that can encounter in applying for conservatory planning permission and the process involved. For more specific and detailed information regarding planning permission laws and current regulations, please visit the Governments Planning Portal Website. Building regulations set the control standards for design, construction and any alteration carried out on any building in the UK. The Government developed the regulations to ensure all buildings meet the required safety and security standards. The above information is purely a guide, and we would recommend that you acquire information regarding conservatory building regulations from your local planning authority should you have any questions or doubts. The Building Regulations also set the standards for energy efficiency, sustainability of buildings as well as the misuse and contamination of water supplies. These regulations must meet the standards of any new development or extension to your home. Our conservatory cost calculator can provide you with an instant online guide price. You can also choose the service requirement for your new conservatory. The options are full build, survey and installation and supply only. Full build will give you the cost of conservatory from scratch. Survey and installation do not include the foundation or building work. Supply only is the cost of the frames and roof. If you select this option, you will need to carry out the installation yourself or hire a builder. When you select the service requirement, you will see what is and isn’t included before continuing. And that’s it! Once you have entered this information, we will show you how much a conservatory costs. This guide price is a good started point before you begin speaking with installers or suppliers. The next thing to do is collect some quotes from different companies. The more quotes you gather, the more options and prices you will have. After all, this should be an enjoyable experience. What’s more, once you have chosen a company you will get a conservatory to enjoy for many years to come. If you have questions about your new conservatory or are thinking about replacing your current one, then get in touch via our online contact form.